Tolkien’s Middle-earth began in 1914. That may come as a surprise, considering The Lord of the Rings was published in 1954–5 and even The Hobbit appeared no further back than 1937. But the fact is that before and beneath those two books there already existed a huge foundation of creative work: the vastly ambitious cycle of stories that became The Silmarillion, as well as annals, cosmographical description, poetry, illustrations, maps and, of course, several invented languages and writing systems. 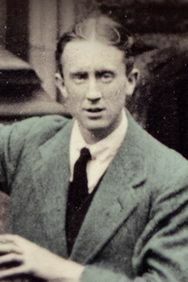 The first identifiable fragment of Middle-earth emerged on 24 September 1914, when Tolkien (pictured here in June) was staying as a guest at his aunt’s Nottinghamshire farm. War had just broken out in Europe, the whole world seemed in ferment, and Tolkien set foot on the path he would follow for the rest of his life. But we’ll come to that in due course. 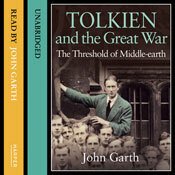 Today, 26 January 2014, is the 100th anniversary of the first known public reading of Tolkien’s epic prose. It’s not what you might expect: there are no cavalry charges here, nor mythological monsters, nor swordplay. These are the official minutes of a college meeting – a session of Stapeldon Society, the body of undergraduates attending Exeter College, Oxford. It’s difficult to imagine a topic less likely to stir the imagination, and in other hands it would doubtless have been mildly amusing at best, drably utilitarian at worst. However, it was Tolkien who was tasked with writing it up. The House — especially typified by Mr H.S. Price — flushed in his face and with the veins of anger bulging in his forehead — protested against this ruling with an extraordinary uproar the like of which has never been heard in this room before. Man after man arose to speak flushed with the wine of wrath, and man after man was quashed, crushed, and squashed into oblivion with the magic of Rule 9 section (b); until the House began to resent Rule 9(b) as a personal foe, and to heave with an uncontrollable antagonism on each mention of it. When Mr Trevor Oliphant arose with the white face of bitter determination, and demanded that the House go back to Private Business for the discussion of the shelved constitutional question, all bounds, all order, and all else was forgotten; and in one long riot of raucous hubbub; of hoarse cries, brandished bottles, flying match-stands, gowns wildly flourished, cups smashed, and lights extinguished, the House declared its determination to have its will and override the constitution. From the midst of this uproar a Red Devil of Fu-ji-ya [a brand of match] leapt from Mr Palmer’s bosom and hit the secretary [Tolkien himself] square on the nose. Mock-epic rather than straightforwardly epic, yes. But here we glimpse Tolkien, 100 years ago, limbering up for the work that has since made Middle-earth a household name worldwide. 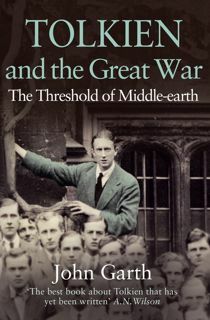 You’ll be able to read more about Tolkien the undergraduate and the origins of Middle-earth in my forthcoming booklet published by Exeter College. *Excerpts from the minutes of the Stapeldon Society are reproduced with permission of the Rector and Fellows of Exeter College. This entry was posted in 100 years of Middle-earth and tagged Exeter College, Middle-earth, Tolkien's friends, Tolkien's life, Tolkien's writing. Bookmark the permalink. I’m greatly looking forward to the forthcoming booklet. Will it be possible to order it online (and perhaps place a pre-order)? Thanks for your interest, Morgan. I’m not yet sure what the situation will be. The text is written, but the booklet still has to be laid out, and decisions have yet to be made about price and whereabouts it will be sold apart from the lodge at Exeter College. But one way or another it will be possible to buy a copy. I wonder if he gave any public readings at King Edward’s School? I am struggling to remember if there are any records of him reciting The Battle of the Eastern Field – although that was poetry not prose of course. The King Edward’s School Chronicle only records that he read quotations (presumably short excerpts rather than just the odd line) from the Norse Sagas, in a paper delivered to the school Literary Society on 17 February 1911. There’s no record of Tolkien reciting “The Battle of the Eastern Field”. But you’re right to identify this as an earlier exercise by Tolkien in epic style (likewise for mock-epic purposes), albeit in verse not prose. The poem and the Stapeldon Society minutes are important twin examples of the young Tolkien practising a style for which he became famous. And it’s fascinating that he used the style here for comedy, in stark contrast to how he uses it in his legendarium. Thanks for this – very enjoyable. Also glad to be reminded that he began it all in my home county of Notts! PS: And Hammond and Scull in their “Tolkien Companion and Guide” vol. I “Reader’s Guide”, in the article termed “Reading”, p. 816, note: “Other books he mentioned later in life but which he may have read in these years are Haggard’s “She” (1887), S. R. Crockett’s “The Black Douglas” (1899)…. If nothing else, the name would have piqued Tolkien’s interest. Is the first identifiable fragment of Middle-earth that emerged on 24 September 1914 the poem Tolkien wrote inspired by the opening lines of the Old English advent lyric Crist, which was introduced to him by Kenneth Sisam his NZ born tutor from 1913? Yes, the poem “The Voyage of Éarendel the Evening Star”. Although there’s no indication that Tolkien had conceived the idea of Middle-earth when he wrote it, Éarendel is recognisably the sky-mariner whom he later calls Eärendil. I’m not aware of any claim that Sisam introduced him to it, although he was Tolkien’s tutor in Anglo-Saxon from April 1913, so it’s certainly feasible. Thank you for your reply. It has been a while since I read Tolkien and the Great War, which I thoroughly enjoyed, and I think from memory that you cover a lot of the things that I talk about here. But what I have read according to Humphrey Carpenter’s biography on Tolkien, who interviewed the latter, under Sisam’s tutelage Tolkien extended his knowledge of the West Midland dialect and read a number of Old English works that he had not previously encountered. Among them was the Crist of Cynwulf of which two lines struck him forcibly: ‘Eala Earendel engla beorhtast/ ofer middangeard monnum sended’. These lines translate as: ‘Hail Earendel, brightest of angels/ above the middle-earth sent unto men’ with earendel glossing as ‘shining light’. Then when Tolkien wrote: ‘The Voyage of Earendel the Evening Star’ he headed it with the lines from Crist. Carpenter also said that the poem about the voyage of Earendel, while entirely original, was the beginning of Tolkien’s mythology. In other words the lines from Crist about the incarnation of Christ were the incarnation of Tolkien’s legendarium. And Tolkien appears to acknowledge this in The Lord of the Rings by having Bilbo, the subject of the opening line of The Hobbit ‘In a hole in the ground there lived a hobbit’, recite an extended version of this poem in Rivendell where Bilbo resides after his eleventy-first birthday, which indicates how the Hobbits link the reader to Tolkien’s mythology. Tolkien also said in his letters that Carpenter edited with the assistance of Christopher Tolkien that ‘Middle-earth’ is not the name of a never never-land without any relation to the world we live in but just a use of Middle English middel-erde, altered from Old English Middangeard, the name of the inhabited lands of men ‘between the seas’ (see letter 165 written 1955). Hence Tolkien through the philology training he got from Sisam links up his ‘Middle-earth’ with that of Old and Middle English and even with Midgard of Old Icelandic literature through his use of things like the Dwarves’ names in Voluspa and other things of Old Icelandic literature in his legendarium though of course he gives a more Christian explanation of the origins of his Middle-earth. This can also be seen in how Tolkien seemingly represents the Hobbits’ society in the Shire as Middle English, while seemingly representing Rohan as Old English and the Beornings and Bardings as Old Icelandic etc. Tolkien also said in his letters of Sisam that he owed him a great debt for laying the foundation of his library teaching him to not only read texts but to study those of which he was never aware (see letter 318 written 1970). Sisam, who was a graduate of both Auckland and Oxford Universities, also had Tolkien write a glossary for his Middle English reader, which was the first thing of note that Tolkien ever had published (and some scholars say that that was the best thing that Tolkien ever wrote!) Also, Sisam went up against Tolkien for Professor of Anglo-Saxon at Oxford in 1925, which proved to be a close contest and had to be decided in the end by the casting vote of the University’s Vice Chancellor who casted it in favour of Tolkien. And some say that that was a mistake, which Tolkien alluded to in his valedictory address when he retired in 1959 from Professor of English Language and Literature when he said that it would seem just if a New Zealander or Australian ascended to an Oxford chair of English given the contribution that scholars from both those countries had made to the Oxford School of English with Tolkien adding that that justice may have been delayed since 1925. This it appears was a pitch on Tolkien’s part for the school to elect New Zealander Norman Davis, a graduate of Otago and Oxford Universities to succeed him, which happened. Being a New Zealander who studied Old and Middle English and Old Icelandic under a PhD graduate of Oxford University at Victoria University I like to point these things out to fellow New Zealanders as being part of our culture and heritage when they only see ‘Middle-earth’ as a way to promote New Zealand as a tourist and film-making destination. 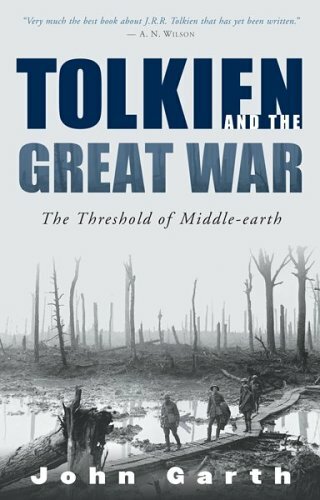 I realise this probably sounds like nitpickery, and it is; but in writing Tolkien and the Great War I found it vital to question all secondary sources. Carpenter was writing a popular biography at a time when Tolkien wasn’t considered a particularly important (as opposed to successful) author, and he provides little or no supporting evidence for most of what he says or implies. The next few lines show (or so it would seem) how Carpenter could use his source material rather flexibly. He says of the Éarendel reference in “Crist”: “He was strangely moved by its appearance in the Cynewulf lines. ‘I felt a curious thrill,’ he [Tolkien] wrote long afterwards, ‘as if something had stirred in me, half wakened from sleep….” The problem is, that line comes from a line of dialogue in Tolkien’s unfinished story “The Notion Club Papers”. Autobiographical? Probably. But that’s an inference, not a fact. There’s no doubt about the importance of the September 1914 poem, in relation to the mythology it preceded. I don’t know whether Tolkien was signalling anything about it by having Bilbo chant a poem about Eärendil at Rivendell, and obviously there were excellent plot reasons to do so (primarily that Eärendil was Elrond’s father); but on the other hand Tolkien did invest a great deal personally in his creation, so it’s not impossible. Thank you for that. I wish that there was more in the public arena about Tolkien’s relationship with Sisam like there is about Tolkien’s relationship with others such as the Inklings and the TCBS. Putting aside the pleasure I get in pointing out the role of New Zealanders in Tolkien’s life, especially as a counterweight to the preponderant movie-mania, the reason why I wish that there was more about Sisam and his relationship with Tolkien is not so much as a singular influence but rather as part of the influence that Tolkien’s undergraduate and academic background had on developing his legendarium. For example, I have heard from a NZ lecturer who was at Oxford when Tolkien was Professor of the English school that the undergraduates, who were young men, lived on campus and were assigned a tutor and scout and that may have informed the relationships between the Hobbits with the undergraduates informing Frodo and his cousins, the tutor Bilbo and the scout Sam with Tolkien challenging the class and gender exclusiveness of this by having in The Lord of the Rings Bilbo teaching Sam his letters and having Elanor being Sam’s literary heir. The personalities of others in the story such as in the Fellowship and the White Council may have been informed too by Tolkien’s university experiences. For example, the dynamic between Gandalf and Pippin might be informed by lecturers getting frustrated with their students not meeting academic deadlines! Thanks again, Brian. I agree with you on the value of the Sisam dimension in Tolkien’s life. Quite a bit can be gleaned from Christina Scull and Wayne Hammond’s Chronology volume of their J.R.R. Tolkien Companion and Guide — mostly relating to Tolkien’s oft-delayed academic writing and editing projects — but I’m sure there is more to be learned. I don’t know how far Sisam would have had a direct impact on his creative work, except in insisting on some of the professional obligations which so often interrupted his non-academic writing! Part of my purpose in Tolkien and the Great War was to paint a picture — fuller and more accurate than had previously been available — of the background and conditions of Tolkien’s life in this deeply formative period. It’s terribly easy for the casual reader to assume they know “where he is coming from”, as the saying goes. Often the assumption is that the attitudes and expectations in Tolkien’s particular place and time were what they are here and now. Obviously they were not; and I think it’s valuable and very interesting to consider his writings in the light of his life and times. This is what Tolkien was talking about in the Foreword to the Second Edition of The Lord of the Rings, when he dismissed comparisons between his plot and the events of the Second World War: it is “false, though naturally attractive, when the lives of an author and critic have overlapped, to suppose that the movements of thought or the events of times common to both were necessarily the most powerful influences”. As he pointed out, the First World War, in which he served and lost some of his dearest friends, was just as “hideous an experience” as the Second. What you have heard about life as an Oxford undergraduate in that era is correct up to a point. There is no Oxford “campus” separate from the town; instead there are quite a few colleges dotted throughout the town. But many undergraduates live in rented rooms within the grounds of their own college, and this is true of Tolkien from October 1911 to June 1914 (after which he spent a year living in “digs”, i.e. rooms not in the college, and rented off a private landlord). When he was living in college, he had the service of a “scout” or servant, who looked after the cooking and cleaning for perhaps eight or nine others too. Humphrey Carpenter gives a reasonably good account of what that meant, drawn from Dacre Balsdon’s book Oxford Life. It’s not far off what Sam Gamgee does as Frodo’s servant in The Lord of the Rings. Apart from in his early childhood in southern Africa, it’s not clear whether anywhere he lived would have been staffed by a servant or servants, although it wasn’t unusual in that era for those who could afford them. A closer parallel, though, is the one which Tolkien himself mentioned: “My ‘Sam Gamgee’ is indeed a reflexion of the English soldier, of the privates and batmen I knew in the 1914 war, and recognised as so far superior to myself.” I’ve written about this in a couple of papers and talks. Bonds formed when life is in rapid motion can be very strong, and they are likely to be stronger still when life is in danger. I find it sad that the Frodo/Sam relationship has been attacked as a symptom of class prejudice on the part of Tolkien. It seems quite the reverse, to me. In that light I’m interested to hear your points about Bilbo learning Sam his letters. Was Elanor Sam’s literary heir? She was given the Red Book of Westmarch by him, but was she responsible for adding to or editing it? Gandalf and Pippin as tutor and pupil? Why not?! “Fool of a Took!” would sound about right coming from an irrascible Oxford don. And Tolkien once subtitled the first version of his nightmare poem The Mewlips “Lines Induced by Sensation When Waiting for an Answer at the Door of an Exalted Academic Person”. being facetious, but not without a grain of truth. Thank you for that. Of Scull and Hammond I have only read their reader’s companion to The Lord of the Rings to date but I will read their companion and guide to Tolkien. I also wonder at times if Sisam had an indirect impact on Tolkien developing the philology that is very present throughout his creative work especially with Sisam getting Tolkien to do things like create the vocabulary for his Middle English reader though that is long after Tolkien had him as a tutor. I note that the vocabulary was published separately from the reader perhaps indicating Sisam’s frustration at Tolkien’s tardiness. Perhaps the sort of philological essays that Carpenter refers to written by Tolkien when he was an undergraduate were also supervised by Sisam. As far as the events in Tolkien’s life goes I sometimes wonder if it is present in scenes in his creative work like the one in The Lord of the Rings where outside the west-gate into Moria Gandalf is so affected by the suspicious times that he is in that he cannot see the opening word for the gate is in the inscription above the doors put up there in more happier times between the Elves and the Dwarves. I am thinking here of how the Third Reich deliberately mistranslated terms like Aryan as ‘master race’ to justify their ideology when committing genocides against the Jewish, which did not really seem to be the sort of actions that befit ‘noble people’ as the term Aryan actually translates. Obviously Tolkien knew something was wrong when he was asked by some German publishers who were seeking to publish The Hobbit if he was Jewish, which may have had something to do with the way the name Tolkien ended and if so the Third Reich’s propaganda machine did not know enough to realise that the name came from the German for ‘foolhardy’. Hence Tolkien would have wanted them to see that he is representing the name Tolkien through Bilbo and his parentage being made up of the foolishness of the Tooks and the hardiness of the Bagginses (which was why Gandalf had Bilbo in mind as a suitable burglar for the Dwarves) rather than seeing the Elves and the Dwarves as representing the Germans and the Jews to suit the Third Reich’s propaganda machine. However, putting this all aside I think also that the scene outside the Moria gate could be seen as a merely a tutorial that considers questions about translation and how this can be impacted on by times outside the ones that the things being translated were written in, which applies to any time anybody is in. This perhaps invalidates the casual reader knowing where Tolkien is coming from based on the assumption that the attitudes and expectations in Tolkien’s particular place and time were what they are here and now. I must admit that I am more knowledgeable of campuses than colleges but like the idea of the latter more and can see how that might be represented by Tolkien in the Shire, particularly in relationship to Bag End and Bagshot Row and the rest of Hobbiton. When I was referring to Frodo’s cousins I was thinking not only of Merry and Pippin but Folco Boffin and Fredagar Bolger and the possibility that the undergraduates would get the scout to eavesdrop on any secret talks that might happen between say a lecturer and another undergraduate. Hence Tolkien could be using this to extend his representation of the Shire in the first five chapters of The Lord of the Rings to show a typical Middle English society where people in different neighbourhoods from each other regarded the customs of each other as rather strange. I hope that I can get hold of Balsdon’s book. As far as Tolkien’s experience of the privates and batsmen that he knew in WW1 goes I am guessing that they would be of the same class as the scouts and quite possibly the scouts saw military service as privates and batsmen as well and I would not be surprised at all if this shaped Tolkien’s thoughts on education. In any case I get the impression that Tolkien himself was not typical of students who went to Oxford and perhaps those who did were more typical of someone like Lotho Sackville-Baggins. I think of Bilbo teaching Sam his letters as perhaps being shaped by his own experiences on the quest in The Hobbit and perhaps being shaped by his desire to encounter Elves in his youth, which I gather at least from Tolkien’s Unfinished Tales. The Dwarves perhaps had a pecking order, which could be gathered from their descent from Durin and from what their names possibly could translate as and they were rather disparaging of Bilbo until he transformed into a warrior after obtaining Sting and that may have shaped Bilbo into looking outside his class. It kind of reminded me of Hott Hjalti’s transformation in The Saga of King Hrolf Kraki after he acquired the sword Gullin-Hjalti. Also, the name Hott Hjalti can translate from Old Icelandic as ‘small sword-hilt’ and Hott’s parents live in what appears to be a house built in a hole in the ground, while the name Bilbo Baggins can derive from both the Middle English word combination of bilt (dweller) bo (dwelling) baggi (bag) inne (in) and the Old English word combination of bil (sword) bua (dweller) bagge (bag) anum (ones). Hence Bilbo transforms from being merely ‘a dweller in a dwelling in a bag’ to ‘a dweller with a sword from the ones in the bag’ (the ‘ones’ referring to his parentage) in the process of the quest and consequently doesn’t stint the teaching of letters to just the younger members of his extended family. The possibility that the teaching of letters could be regarded as above Sam’s station in life could be indicated at the beginning of The Lord of the Rings by the Gaffer saying to his drinking companions that Bilbo means no harm by doing that and he hopes that no harm comes from it and saying to Sam that cabbages and potatoes are better for him than Elves and Dragons, which is the business of his betters. However, because Sam does get involved in the business of his betters I couldn’t imagine that he would stint the teaching of letters to say just his sons especially when considering his devotion to Galadriel. Also, going by the two alternative epilogues that Tolkien had drafted which I have read in The History of Middle-earth where he discusses with Elanor in one draft and most of his children in another draft, amongst other things, their forthcoming meeting with Aragorn and Arwen at the Brandywine Bridge and going to the rebuilt Annuminas Elanor knows her letters and there is the possibility that the red book is added to and edited. I was thinking though only about her inheriting the red book when I said that she becomes Sam’s literary heir. But why couldn’t she or anyone else add to it or edit it? The draft with Sam talking to Elanor suggests that in the notes that Sam has made up for the continuation of this, while the conversation that Sam has with most of his children in the other draft suggests that such a continuation would have a different tone to it. Perhaps a tone reflected by Tom Bombadil and reflected in the poetry that makes up The Adventures of Tom Bombadil.